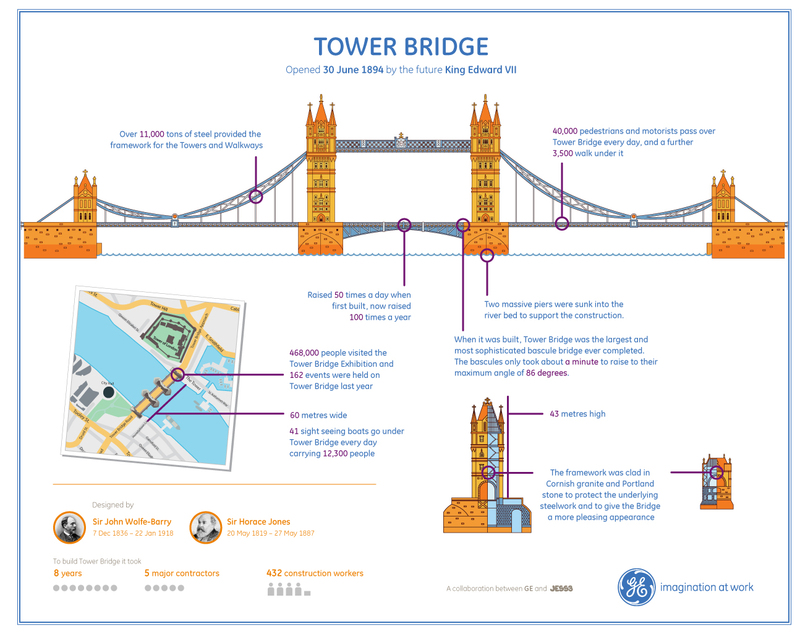 London's Tower Bridge is not only a major tourist attraction but also an exceptional achievement of engineering and architecture. 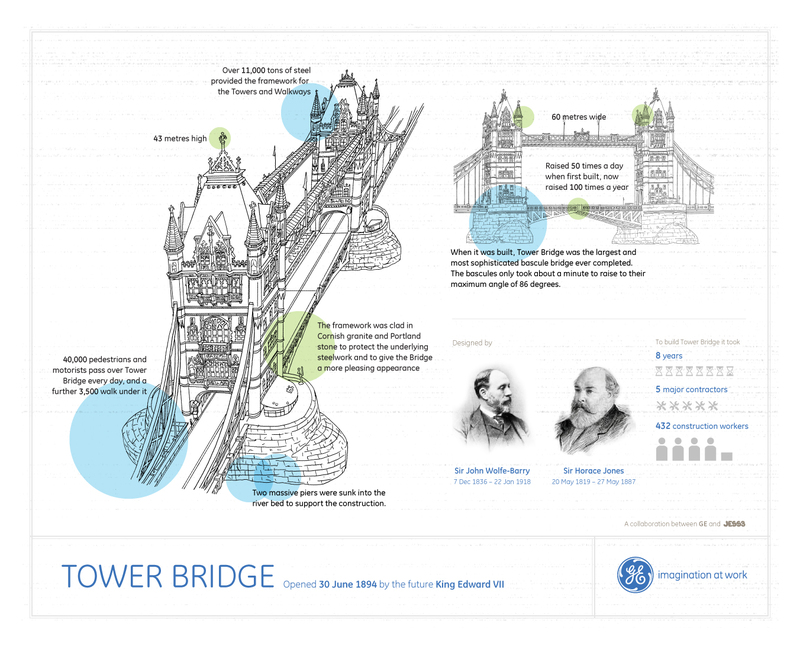 In 2011, GE set out to design an innovative lighting system to illuminate the towers and accentuate the bridge's metal framework — while simultaneously increasing energy efficiency. 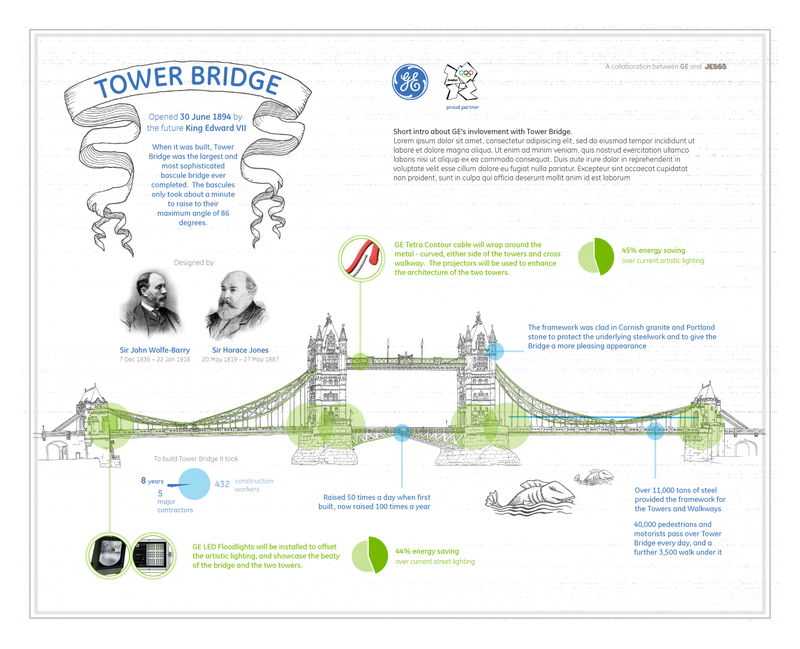 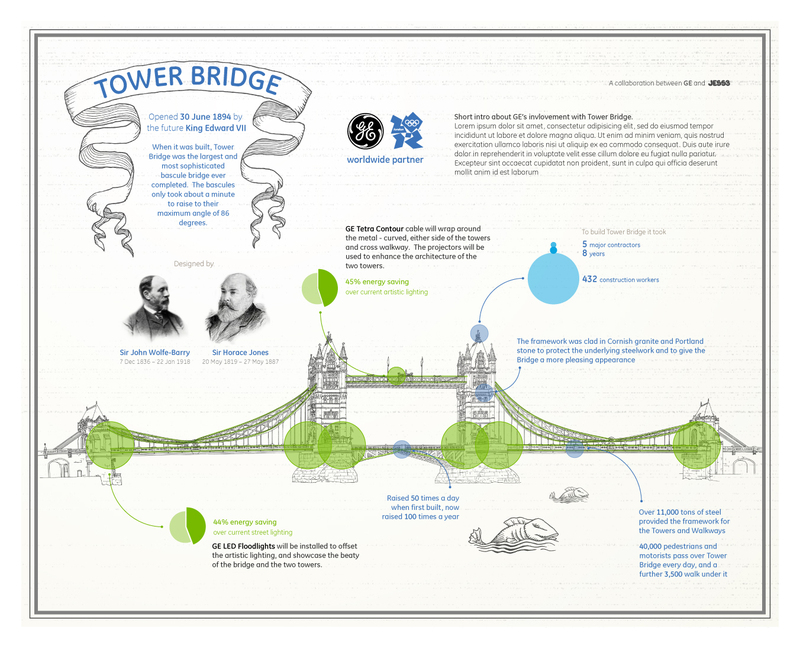 A mix of modern and traditional, this infographic from JESS3 highlights GE's work and provides contextual information about the bridge's storied history.